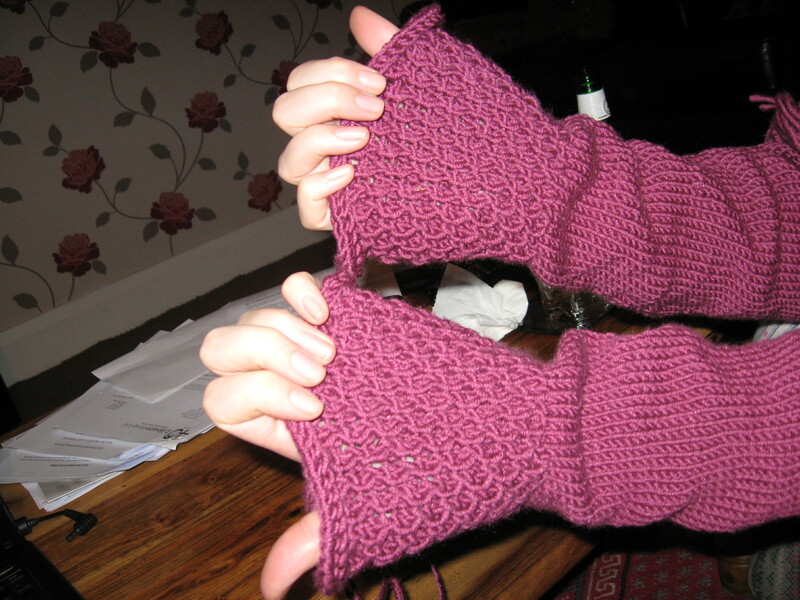 I have finished the second sleeve!! And I only had to pull it out and re-do it twice due to it ending up a different size to the other sleeve – specifically the cuff. Turns out *slightly* stressed around product launches is not the time to knit an item to match with relaxed glass of wine knitting. Amend the pattern and finish the cardie short. To make it look like it’s meant to be. To be fair I am sick of the sight of it, so this may well be the quickest solution. I could knit till I run out and then knit in a different colour of the same wool and make a feature out of it. Currently two is winning. If I do that I may also have the opportunity to wear it before we actually get to what passes for summer up here! Wine is always good and will get you round most things in the end!